Looking for a job in Hendricks County Indiana? This Hendricks County Indiana job guide is a resource for job seekers looking for legitimate employment opportunities in the region with an emphasis on government positions, top healthcare employers, public school careers, and major job boards. 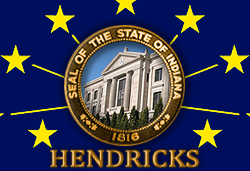 Hendricks County Indiana is a good resource for an ongoing array of career opportunities. During this review there were job openings available for Resident Assistant, Road Crew Worker, Administration & Public Affairs, Planning Director, Computer Center Sheriff Support Specialist, Seasonal Naturalist, Seasonal Naturalist, Parks & Recreation Part-Time Maintenance, Chief Public Defender, Case Manager, and Work Release Officer. Town of Brownsburg Indiana was hiring. Open positions had included .B.A.S.E. Site Facilitator, Seasonal Grounds Laborers, Camp Counselor, and WWTP Laborer. Check for updates. The Town of Danville Indiana may occaisionally post jobs on their HR page. Check their site for listings. Check the Town of Pittsboro for any current job openings. The Town of Plainfield Indiana often has open positions. During this survey there had been jobs posted such as Concessions Worker, Communications Officer, Lifeguard, Park Maintenance, Parks & Recreation Volunteer, Program Instructor, and Customer Service Recreation Services. Hendricks Regional Health includes a full-service hospital in Danville, Indiana. A survey of open positions found had included Registered Nurse RN Emergency Department, Phlebotomist, Accounts Payable Clerk, Advanced Practice Registered Nurse APRN, Medical Technologist, Physical Therapist, Applications Analyst, Certified Athletic Trainer, Cardiology Special Procedures Tech, Carpenter, Physician Assistant, Certified Registered Central Sterile Technician, Housekeeping Jobs, Registered Nurse ICU, Clinical Attendant, Certified Nursing Assistant CNA, Exercise Physiologist, Family Nurse Practitioner, Hospitalist - Pediatric, Physician, Housekeeper, Licensed Practical Nurse LPN, Maintenance Tech, Radiation Therapist, Medical Assistant, Occupational Therapist, Paramedic, Pharmacist, Intensive Care Unit Nurse RN Jobs, Registered Nurse Medical, Secretary, Receptionist, Social Worker, Telemetry Tech, Unit Clerk, Wound Ostomy Care RN, and more. Indiana University Health offers quality comprehensive care for a broad spectrum of health needs. During review there were a good selection of job openings found such as Valet Attendant / Equipment Distribution Technician, Registered Nurse Associate Partner West Hospital, Surgical Technologist, Unit Secretary, Medical Technologist, Specialist Registration / Audits Radiology, Registered Nurse Pediatrics, Paramedic, Radiology Patient Care Assistant, Radiology Technologist, CT Radiology Technologist, Respiratory Therapy, Nuclear Med Technologist, Ultrasound-Vascular Technologist, Sterile Processing Tech, Full-time Registered Nurse Cath Lab, Registered Nurse Emergency Services, Registered Nurse Part Time, Registered Nurse Med-Surg, Case Manager, Echocardiograph Technologist, Physical Therapist Flat Rate, Medical Assistant, Med Tech II, Ultrasound Technologist, and Housekeeper. Hendricks Therapy welcomes children and adults in various stages of life development and transition. Hendricks Therapy hires Psychiatrists, Psychiatric Nurse Practitioners, Psychologists, Licensed Therapists, and support staff. Sycamore Services, Inc. makes a difference in the lives of individuals with disabilities and others experiencing daily challenges by providing individualized training and services to increase independence and enhance their quality of life. Here you may find career opportunities such as Recreation Therapist, Children's Services Therapist, Community Consultant, Preschool Teacher, Bridge Aide, Developmental Therapist, Van Driver, Direct Support Professionals, Employment Consultant, and more. Cornerstone Pediatric Rehabilitation provides high quality rehabilitative care. Cornerstone Pediatric Rehabilitation accepts resumes. Brownsburg Meadows is a part of American Senior Communities, senior community and skilled nursing agency with locations in Brownsburg and Avon. Here career opportunities have included Student Nurse, RN Registered Nurse, Home Health Aide, CNA Certified Nursing Assistant, Memory Care Facilitator, Activities Director, Resident Care Coordinator - Registered Nurse / RN, QMA Qualified Medication Aide, LPN Licensed Practical Nurse, Housekeeping / Laundry Aide, Nurse Scheduler CNA or QMA, and MDS Coordinator. Hendricks County Health Department periodically posts a low volume of public health related jobs. Traditions at Reagan Park provides assisted living, memory care, and independent living services. Their employment page indicates that they may be taking applications. Avon Community School Corporation appeared to have a high volume of employment opportunities on this review date. Open positions that were discovered included Director of Human Resources, Avon Community School Corporation, 4th Grade Teacher, Elementary School Teaching Jobs, Golf Coach, Extra Curricular Activities Coach, Baseball Coach, English Teacher, Intervention Assistant, Special Education Assistant, One-on-One Special Education Instructional Assistant, Special Education One on One Assistant, Life Skills Special Education Assistant, Title One Assistant, Instructional Assistants, Instructional Aides, School Groundskeeper, Math Teacher, Substitute Custodian, Substitute Teacher - All Schools, Network Services Team Leader - District Technician, School Bus Monitor, School Bus Driver, and Transportation School Bus Technician. Brownsburg Community School Corporation consists of 11 schools that serve the Brownsburg community.Elementary Principal, Early Childhood Center Coordinator, Elementary Teachers Temporary Contract, English Teacher, Building Computer Technician, Maintenance Technician, Head Custodian Elementary Building, Preschool Instructional Assistant ECC, Assistant Building Head Custodian, Special Education One on One Aide, Special Education Aide Autism Classroom, Special Education Aide Part Time - Cardinal, Preschool Teacher - Early Childhood Center, Food Service Technician, Custodians 2nd Shift, Bus Aides & Substitute Bus Aides, Bus Drivers & Substitute Bus Drivers, Child Care Substitutes, Food Service Substitutes, School Nurse Substitutes, Substitute Teachers (Elementary & Secondary), and Substitute Special Education Instructional Assistants. Danville Community School Corporation had employment opportunities for Full Time English Teacher, Agriculture Teacher, Special Education Instructional Assistant, Transportation Secretary, DCSC Speech Language Pathologist, Substitute Teacher, and PACE Assistant. Mill Creek Community School Corporation had job posting on this review date. Some positions found had included Science Teacher, Math Teacher, Computer Literacy Teacher, Maintenance Employee, Elementary Instructional Assistant, Registered Behavorial Therapist, Instructional Assistant - Special Education, Reading Room Instructional Assistant, Substitute Teachers, Substitute Bus Drivers, and kitchen staff. North West Hendricks Schools was hiring. Open positions found included Elementary School Full-Time Evening Custodian, High School Physical Education Teacher, High School Special Education Teacher, High School Math Teacher, and High School Science Teacher. Check for updates. Plainfield Community School Corporation had a number of employment postings. Open positions available had included Assistant Principal Assistant Cheer Coach Job, Junior Varisty Volleyball Coach, 3rd Grade Teacher Job, Elementary Teacher Grades K-5, Special Education Teacher ED, Cafeteria Worker, English/Language Arts Teacher Job, 2nd Shift Custodian, Building Services Technician, Director of Guidance, Substitute Teacher Jobs, Instructional Aide Job, Highly Qualified Instructional Aide Job, Special Education Instructional Assistant, and Bus Driver Job. The Avon Police Department maintains an eligibility list of employment for merit officers. Visit their recruitment page for additional details. Brownsburg Police Department's recruitment page provides information regarding minimum requirements for Police Officer, minimum requirements - civilian support staff, reserve officer info, sworn officer testing, and selection process. The firefighters and paramedics of Brownsburg Fire Territory provide fire protection, technical rescue, and emergency medical services to a 52 square mile district in North Eastern Hendricks County. The Danville Metropolitan Police Department is staffed with 18 merit officers, 4 part-time officers, 1 community support officer, 2 department Chaplain's, and 2 administrative assistants. The Danville Fire Department may periodically post opportunities for Firefighters. Check their site for updates. Hendricks County Sheriff's Office periodically hires certified law enforcement Deputy positions, corrections officers, and civilian support jobs. Applications are available on the County HR page. The airport is right on the outskirts of Plainfield. So depending on your location commuting could be an option. The Airport Authority staff represent a high-performing culture that fosters world-class service to enhance the community. The first link below leads to the jobs page for The Airport Authority, but don't stop your job search there. Most major airports provide numerous services, major airlines of course, car rental agencies, TSA Jobs, and dining & shopping. Shopping malls are good for ongoing opportunities mostly in retail, loss prevention, security, mall management, maintenance or administrative support staff. Hendricks Power is part of the nation's largest energy network which includes 1,000 electric cooperatives. Local Chambers of Commerce are a good resource for job seekers since they tend to provide updated business directories, information on economic climate, business resources, and sometimes have job boards.